The number 10,000 has an odd allure. Malcolm Gladwell popularized the now-inescapable idea that mastery in any skill is generally the result of "ten thousand hours" of practice. And fitness trackers have led us to believe that fulfilling a quota of ten thousand daily footsteps is the baseline for good health. 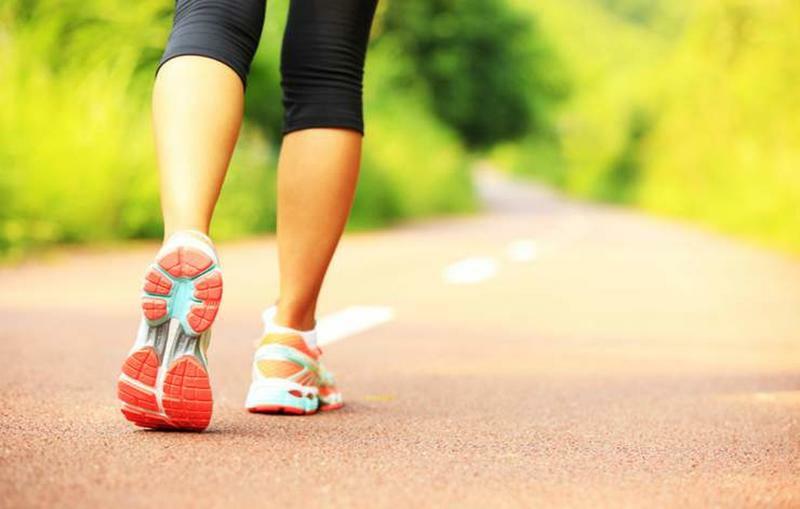 But new research suggests that 10,000 steps may actually not be enough. According to the New York Times, the fitness industry's love of the 10,000 steps litmus is not backed by good science. And a new study published in the International Journal of Obesity suggests we should raise the floor to 15,000 steps. The study is a continuation of research done on bus drivers and conductors, one of the first pieces of evidence that increased physical activity plays a role in preventing heart disease. The nutshell is: the people involved in the study who walked at least 15,000 steps were the ones who did not exhibit increased risk factors for developing heart disease or obesity. The study surveyed mail workers in Glasgow. The mail carriers who spent most of the day delivering mail on foot showed a much lower incidence of unhealthy weight and heart disease symptoms. For a lot of people, even 10,000 steps seems like an imposing number. Indeed, it can be hard to find the time to fit in even that baseline amount of physical activity into an average workday. Dr. William Tighe, the study's lead physician, has a couple suggestions. If you walk for half an hour before you begin work, another half hour during your lunch break, and build in a few ten-minute physical activity breaks over the course of the day, you'll be well on your way to hitting your quota. "Sitting is the new smoking" has become a popular mantra in the office work world. There are a number of products on the market that are meant to rectify the seemingly unavoidable problem of remaining sedentary for hours at a time while you're working. The products range from bike-style pedals you put under your desk, to standing desks, to treadmill and static bike desks. If any of them appeal to you, they may help you stave off the ill effects of sitting. But if you don't want to shell out a lot of money for these office products, there are some simpler, cheaper alternatives. If you have to remain sitting for long periods of time, break up those chunks with breaks in which you stretch and do some basic exercises. Also, try drinking an excessive amount of water throughout the workday. Your bladder will force you to get out of your seat and walk to the bathroom. Every little bit helps.